Please provide input on your experience with 2019 psychology CPT Codes. The 2019 psychological testing CPT codes represent an appreciable advancement for psychologists, particularly as reflected by the increased valuing of the professional acumen needed to complete thoughtful and thorough evaluations (e.g., 96130). We have a shared opportunity to influence appropriate use of the codes and relevant reimbursement. We are seeking input from Nebraska Psychologists to advance efforts for pre-authorization, clinical utility, and reimbursement. Click HERE for information on how you can share details regarding your experiences and questions. May 10, 2019 in Omaha with live internet streaming in Scottsbluff. Reserve your spot – Register Now! Click HERE for more information or download Brochure and Registration Form. Have you renewed your membership for 2019? It's not too late to reinstate your membership! Renew today! Thank you to NPA's ECP Committee for hosting an informative and fun evening featuring Will Spaulding, Ph.D. and Joe Swoboda, Ph.D. presenting "Understanding the Legislative Process". Drs. 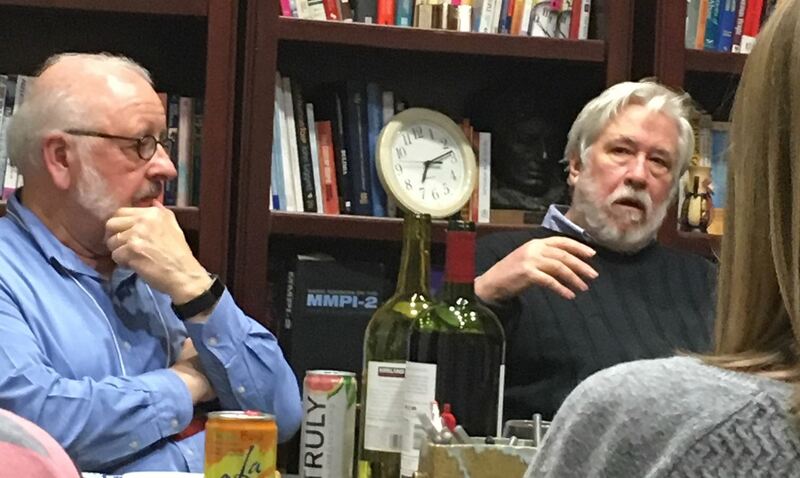 Spaulding and Swoboda shared their knowledge of the political and legislative issues that have been most relevant to the practice of psychology in Nebraska over the years. And thank you to Drs. Swoboda and Spaulding for an excellent presentation! Several ECPs, students and long-time NPA members joined us for this informal and interesting evening! Please join us in Congratulating these members! And be sure to get your membership renewed for 2019! If you are not a member, now is the time to join! Click HERE for a calendar with next year’s events! Great Turnout and Fun at NPA's Recent Meet & Greet in Lincoln! 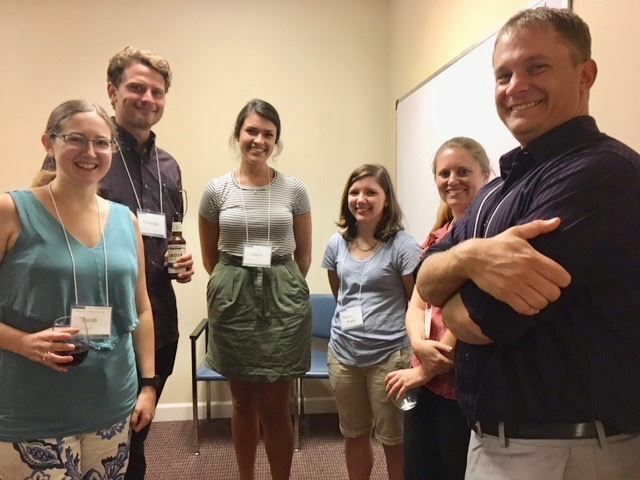 Several psychologists, students, interns and guests had a great time at the recent NPA Meet and Greet! Checkout more pictures and videos of the live Music HERE. 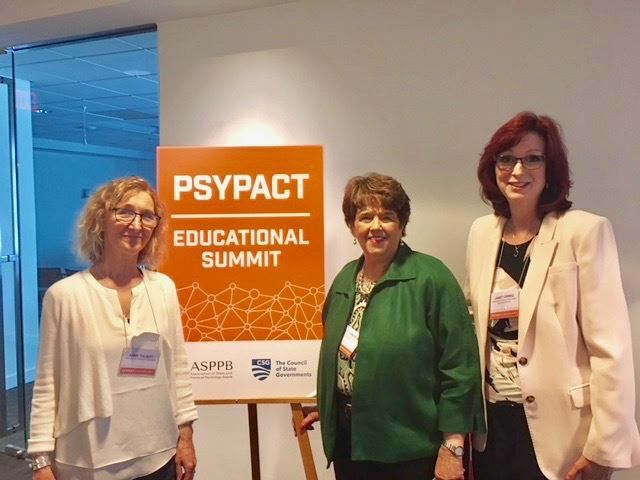 NPA's President, Anne Talbot, Psy.D., presented this week at PSYPACT Education Summit sponsored by ASPPB and the Council of State Governments (CSG) in Washington, DC. 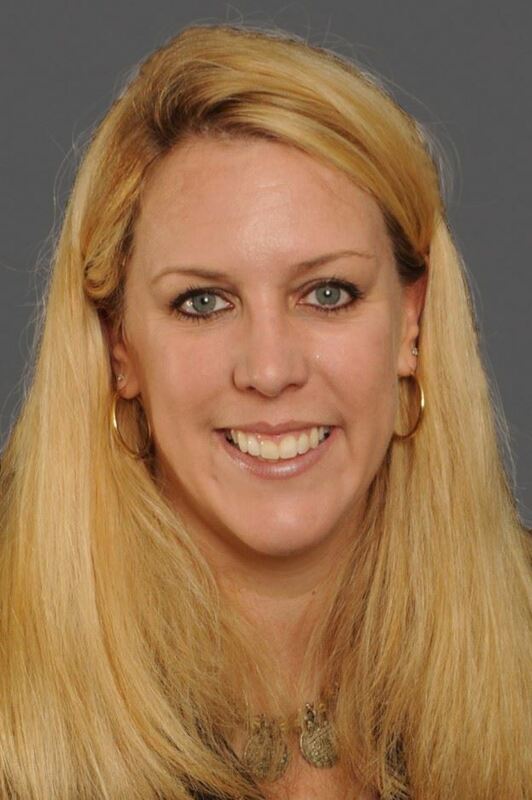 Dr. Talbot provided The State Perspective, discussing Nebraska's process and NPA's support and advocacy efforts for passage of LB1034 which included the Psychology Interjurisdictional Compact (PSYPACT). Dr. Talbot is pictured here with Sally Cameron, NCPA Executive Director, and Janet Pippin Orwig ED for PSYPACT. 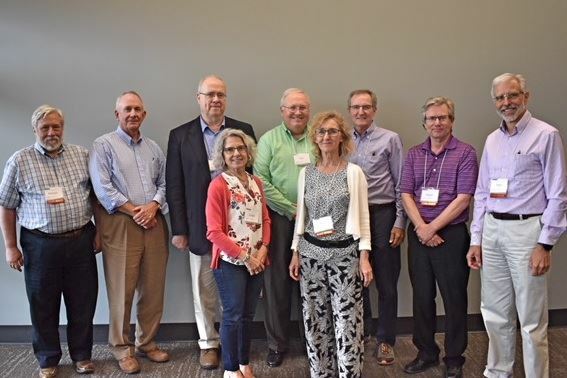 NPA Treasurer and Past President, Dr. Dave Carver (back row, second to left) attended an intensive four-day training on CBT for PTSD and Suicide Prevention at the Beck Institute for CBT in Philadelphia. 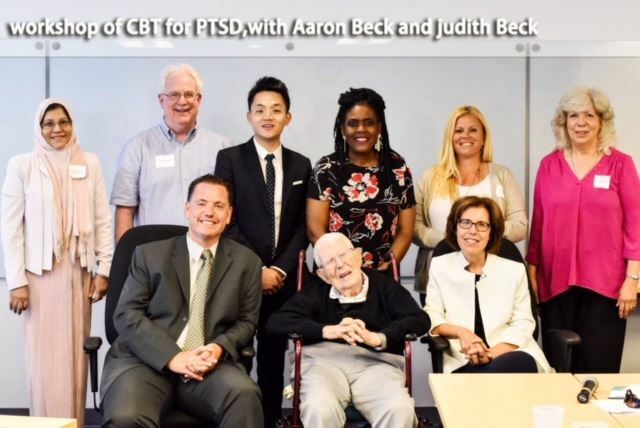 Dr. Aaron Beck, one of the founders of CBT, joined them one afternoon to answer questions, and did some patient interview role plays with workshop participants. Dr. Beck is pictured here in the front row with his daughter, Judy. Dr. Beck is 97 years old. Celebrating a history of great NPA leadership with 8 Past Presidents as well as the current NPA President in attendance at the Spring Conference in Omaha today! Pictured from left to right with years of presidential term. Back row: William Spaulding, (10/11), John Hunziker, (83/84), Robert Townsend (87/88), Ted DeLaet, (96/97), Thomas Guck, (94/95), Daniel Ullman, (08/09, Jim Madison, (88/89). Front row: Lynda Madison, (90/91) and current President Anne Talbot. to our association and profession! Great time at last night’s ECP gathering at the Oven in Lincoln! 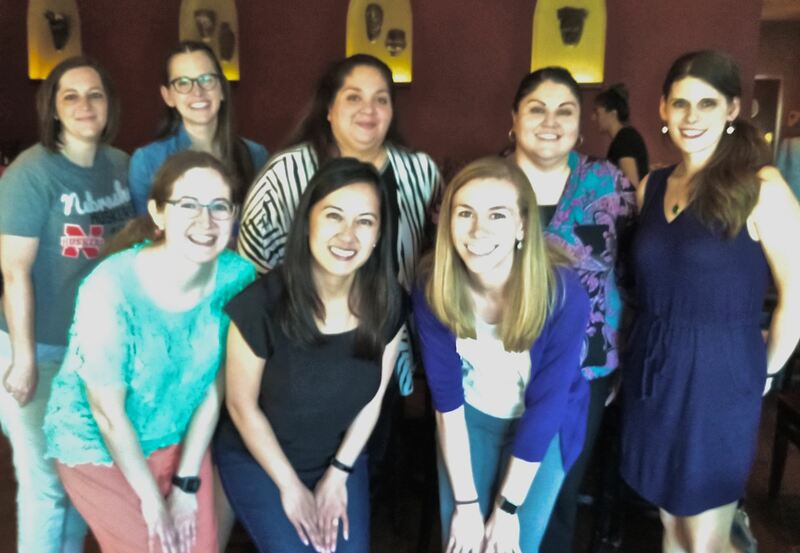 Several ECP’s met to socialize, and discussed issues relevant to psychologists including NPA’s advocacy with Heritage Health and recently passed PSYPACT, reimbursement concerns, and healthcare and benefits for psychologists. The conversation also included the new two-part EPPP exam and how it will impact new psychologists seeking licensure in Nebraska. If you have not yet renewed your membership, make sure you do so today! It's simple… just log in to your member profile, click on "View Profile", then "Renew". You now have yet another way to earn continuing education credits, become eligible for a 15% savings on Trust Sponsored Professional Liability Insurance premiums for two renewals, and support the Nebraska Psychological Association simply by attending one of the featured Trust's Ethics and Risk Management CE Webinars. Simply enter the promotion code TRUST-NE. Watch for more information from The Trust coming soon! NPA endorses the Trust and its Insurance Programs. 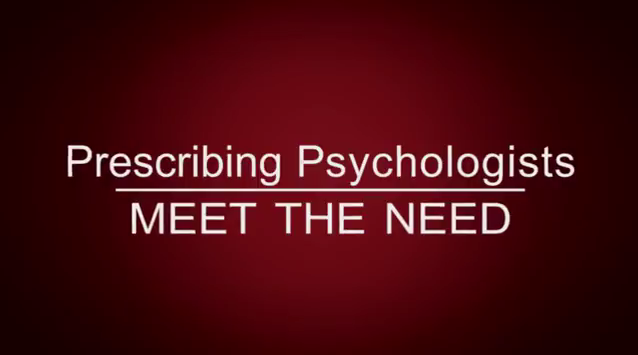 Check out our informative videos discussing how prescribing psychologists can meet the need. Click HERE for info on Prescriptive Authority efforts in Nebraska. NPA is currently participating with the Heritage Health Behavioral Health Integration Advisory Committee. Heritage Health (HH) is a health care delivery system that combines Nebraska’s current physical health, behavioral health, and pharmacy programs into a single comprehensive and coordinated system for Nebraska’s Medicaid and CHIP clients.. NPA Members CLICK HERE for more information on NPA's participation with the Advisory Committee!